The Rogue FlashBender 2 XL Pro Lighting System is a modular light-modifying tool that can be attached to a flashgun. It’s particularly aimed at photographers who like to shoot subjects such as portraits or products. The small size of the Rogue FlashBender 2 XL Pro Lighting System means that it is ideal for use on location. As part of the kit, you get a flash reflector, a soft box and a strip grid. The Rogue FlashBender 2 XL Pro Lighting System costs around £100 / $100. The Rogue FlashBender 2 XL Pro Lighting System is a modular system, meaning that each part of it can be removed and flattened down for packing away in the convenient travel case which is included in the box. The overall size is very flat, but quite long - it should fit in most camera bags though, apart from perhaps very small camera bags designed to fit compact system cameras - it’s certainly a lot less bulk than carrying full-size versions of these lighting options would be. As standard in this kit, you get the FlashBender XL Pro Reflector, an XL Pro Soft Box and an XL Pro Strip Grid, so no matter what type of light direction you want to use, you should find something to suit your needs. Setting up each of the modifiers is very easy, with an explanation sheet in the box walking you through the process. 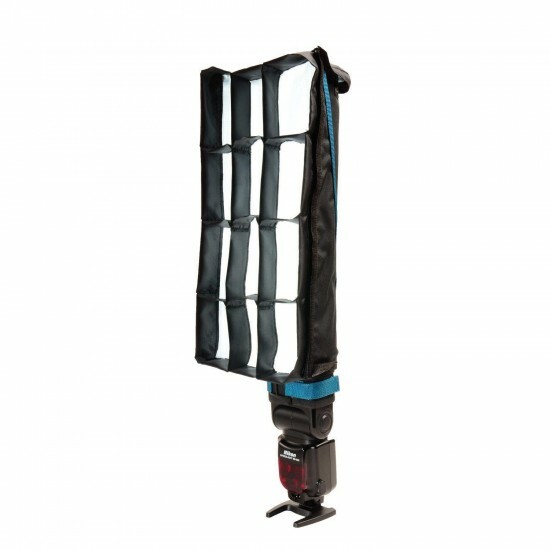 In essence, the soft box and the strip grid can be attached to the reflector using a series of velcro strips and fasteners. It’s arguably a little fiddly to set them up, but once you’ve done it a couple of times, you should find you get more adept at the process. 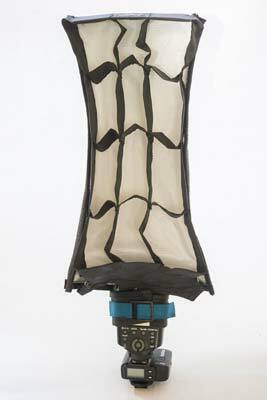 The reflector itself can be used to control and shape your main background, hair, rim or accent lights. You can change the shape of the reflector thanks to the metal rods inside it which can bent to the position you’d like, depending on the subject you’re shooting. There are velcro strips on either side of the reflector, which allow you to create a snoot by bending it into a circular shape. 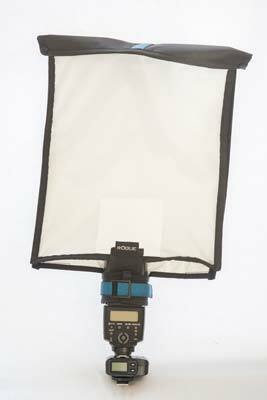 The Soft Box attachment allows you to create a small and portable softbox, which works particularly well for portraits as the main light for a soft and even effect. 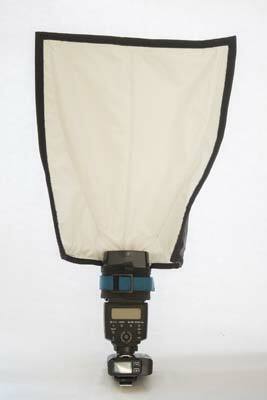 The top and bottom of the soft box fold over to trap as much light as possible within it. Finally, there’s a grid attachment. First you need to bend the reflector into a “U” shape, and then you can attach the grid around the sides. Again, it’s a little on the fiddly side, especially when you’re first trying to get used to it. With the grid attached, you can create a more directional kind of light. At the bottom of the reflector, there’s another velcro strip with a buckle which allows you to attach the flash bender to your flash. 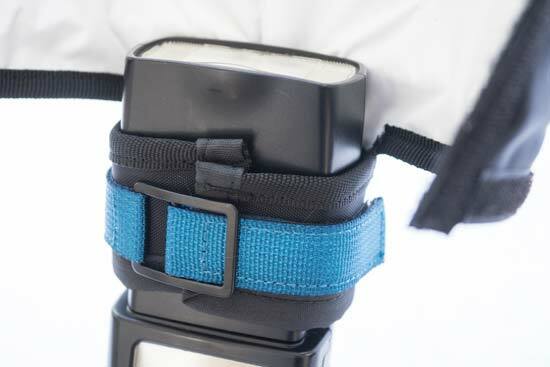 As you can tighten the strap, it can fit whatever size or brand of flash you’re using. You can use the flash modifiers while the flash is mounted to your camera, but for best results you probably want to use it off camera - so you’ll need triggers, and possibly also lighting stands.